Looking to update your kitchen without spending a fortune? A tile backsplash is a budget-friendly way to freshen up your kitchen. It's a small investment with big payoffs. Kitchen improvements are always top of the list for adding value to your home. Adding a tile backsplash is a simple way to do just that with no cabinets to tear down, no appliances to move or replace, and no big checks to write. Another big benefit of a tile kitchen backsplash? It's much easier to clean than paint. You'll be improving the function of the room as well as the look. Let's look at the most affordable ways to add a kitchen backsplash. Tile comes in a variety of materials - and pricepoints. If you're looking to stick to a budget, stay with ceramic or glass tiles. These are the most affordable tile materials. As a bonus, they also come in the widest array of colors and sizes. You're sure to find something you'll love and a price you can afford. 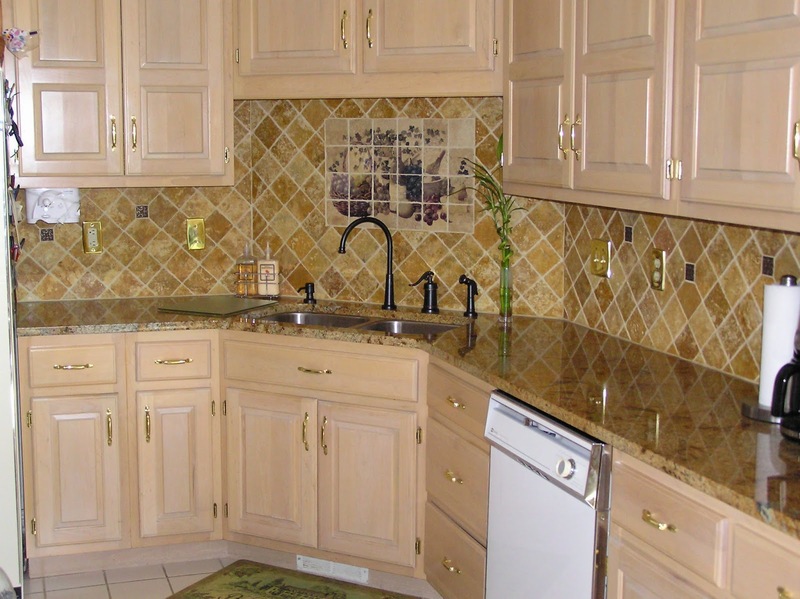 Tile is so flexible that it works well with your existing paint and cabinets. To help cut costs, consider covering just a portion of the walls with the backsplash - perhaps the bottom third. Or look at covering just one wall with the backsplash. We recommend focusing your tile backsplash on the wall behind the cooking area. This is the focal point of the room so it will make a big impact in a small space. Plus, tile is so much easier to clean than paint - adding the tile to the wall that is likely to be the messiest is a great way to maximize your investment. Neutral tiles in standard sizes will help you save money. 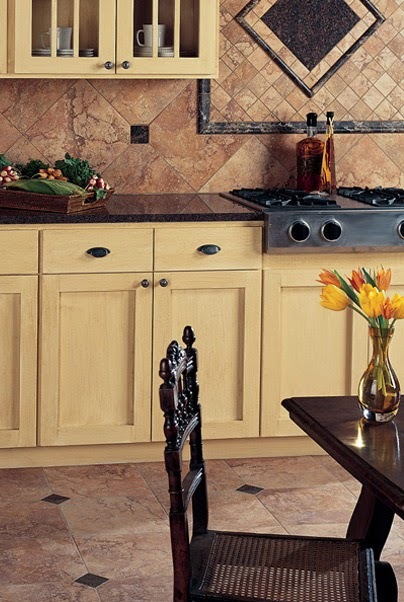 You can make that backsplash look more expensive, however, by adding in some accent tiles. Our design staff can plan out a tile wall that incorporates a colorful or patterned accent tile that will change the look of the wall without denting your wallet. Another great option for neutral tiles is to install them in a different orientation. For example, instead of laying a rectangular tile in horizontal lines, consider laying them out on a diagonal. The tile costs the same but gives you a more updated design. Tiling a large area? It can be expensive to get a large number of tiles that are all the exact same shade. Consider using complimentary shades to cut down your costs while also adding visual interest. Looking for more design tips? Follow our Facebook page where we highlight trend alerts and tips!